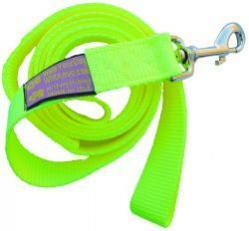 We don't recommend using black thread on neon webbing. Less is best, we recommend just your telephone number. 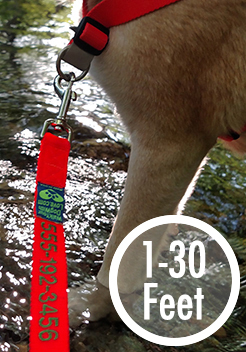 Customize your Sportso Doggo Dog Leash to the Length that works best for you! Now you can have a leash for all the different kinds of walking and training you and your dog do. 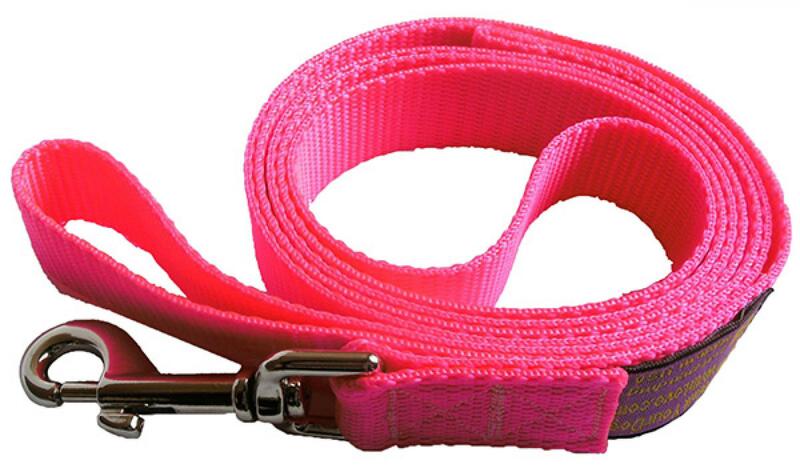 The Sportso Doggo Dog Leash is our most popular dog Leash. 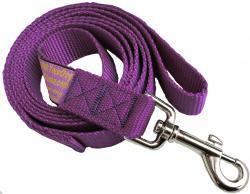 It is made with a soft, smooth and robust 3800 pound test Satin-Finish Nylon that you and your dog will love. 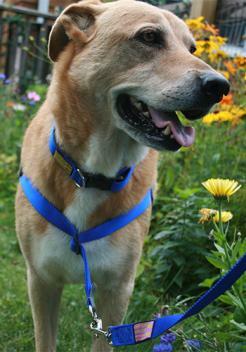 Your dog can BE SEEN in high visibility Neon colors (like Hunter Orange) or Look Sharp in luxurious Jewel Tones. 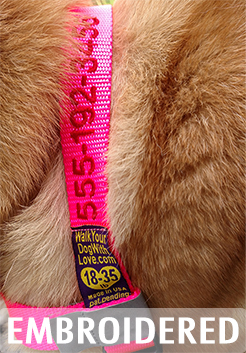 Leashes are measured from tip of the snapbolt to the end of the handle. 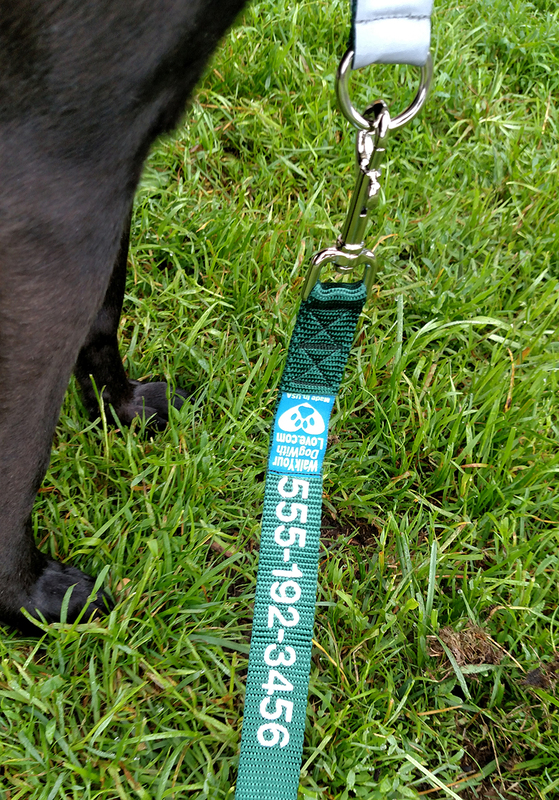 Note: The longer the leash, the heavier the leash. 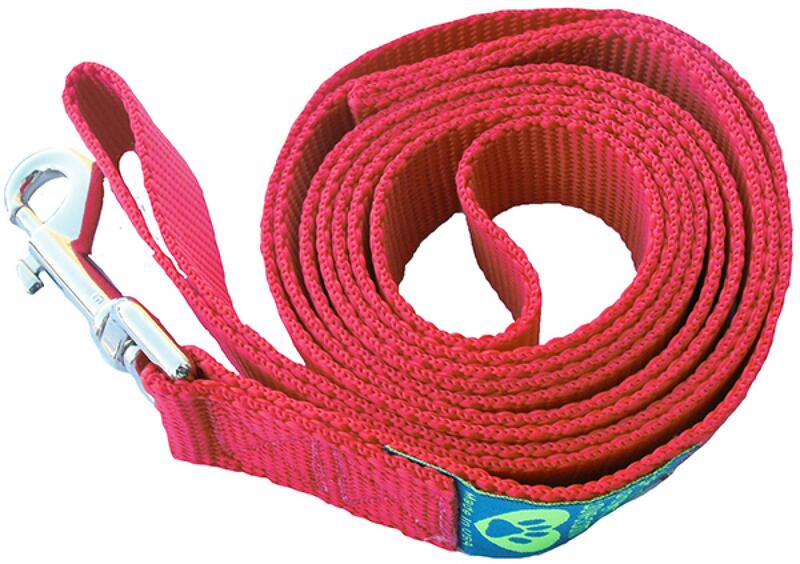 Please consider that the 3/4 inch wide leash is strong enought for even a big dog with a lot of leash. 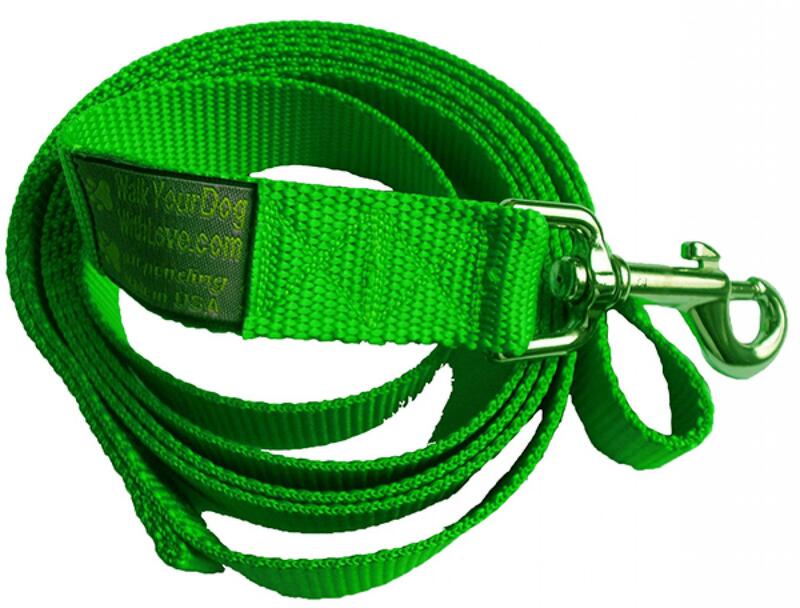 Choose a ¾ inch wide (19mm) for lighter/smaller dogs or a 1 inch wide for bigger dogs (25mm). 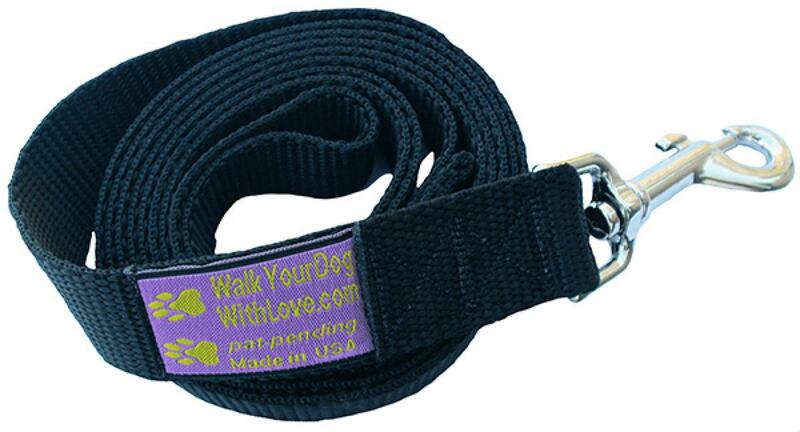 Now you can have a leash for all the different kinds of walking and training you do. Our NorthEastern handle: is slightly larger, making it easier to get your hand into the leash and to accommodate those gloves and mittens that we know a lot of our customers wear at some point in the year! 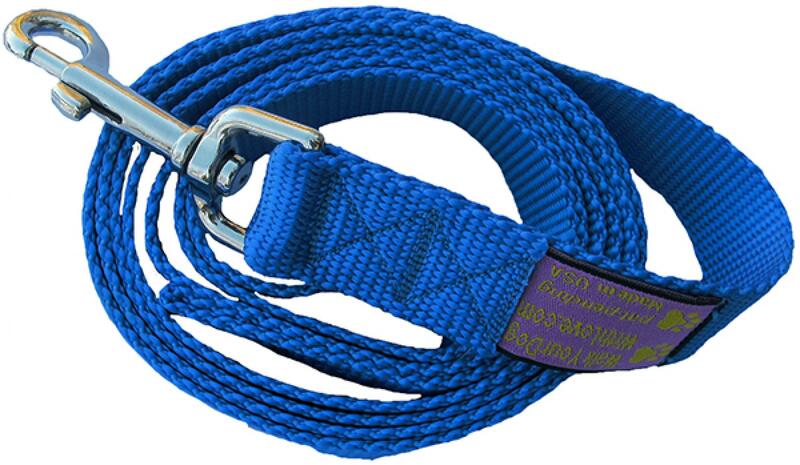 All Walk Your Dog With Love leashes all have strong and durable nickel plated snap bolts. When using a front leading harness it is not recommended to use a leash with a disproportionately bulky snap bolt; Walk Your Dog With Love leashes are built with that in mind, using snap bolts with a proportionate weight distribution. 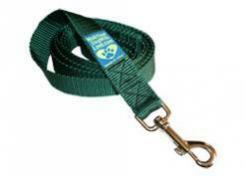 All our leashes have a swiveling, weather resistant nickel-plated snap bolt clip for secure closing. Choose your length from 1-30 feet.